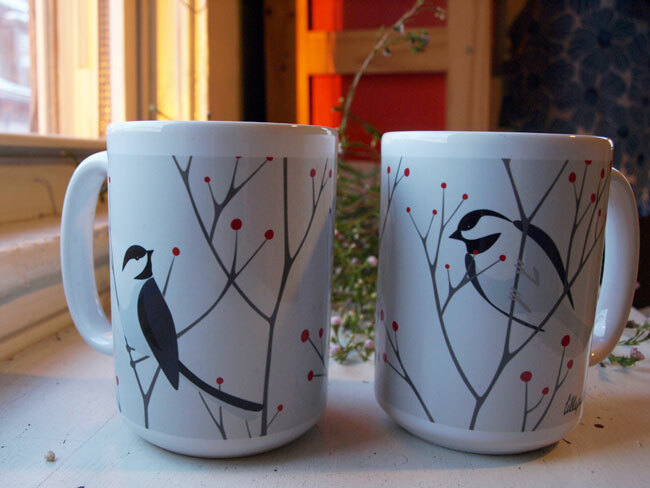 It's a little too late for Valentine's Day... but we have chickadee mugs! Well, two, for now. Printed these up today as a color test, and I have to say, I'm quite pleased.